The liner-lock folder by Koji Hara. 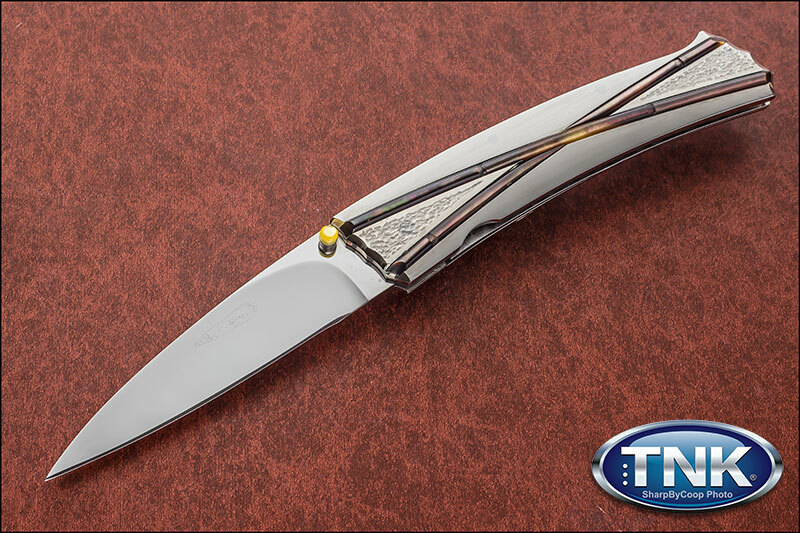 It features a mirror polished Cowry-Y steel drop point style blade and hand-dimpled, hand satin stainless steel handle made to look like bamboo and inlays with gold and black lip mother of pearl motif both sides. The spine of the handle spacer have black lip pearl in it. Comes with a Japanese Kimono cloth pouch.